Whenever I check astrology forums, astrology facebook groups, or even the stats on this blog, one thing stands out above the rest. That is Chiron. I wrote a post years ago about Chiron in our charts and highlighted the influence of Chiron on each of the 12 houses. You can check out that post here if you’re interested. Why is Chiron so wildly popular when it was just discovered in 1977? Do we even know that much about it? The answer is in Chiron’s energy- one people are drawn to more and and more every day. Chiron is known as the “Wounded Healer” and represents an area of deep wounding in each and every one of us. It takes devotion, discipline, hard work, patience, and a lot of compassion to walk the road of Chiron. Many people start to walk it and end up falling off and some avoid it at all costs. It’s not easy, and it’s not a light subject- so why are people so drawn to it? I can only guess it’s because people are now ready to take the plunge. They realize that what is ‘easy’ is no longer fulfilling. They are ready to take on the lessons Chiron has for them, and ultimately ready to dig up the wounds that have been buried. We, The Human Race, see the pain and understand that it can be transcended. We, The Human Race, see the pain and understand we can help ourselves and others heal. How do we find the path? We look inside ourselves. You cannot draw a map or write step by step directions on how to heal your Chiron wound- each person has a unique path. You’ll have to cut the vines yourself, there will be no clear cut route and no footsteps to follow. You’re a trailblazer in your own personal healing journey. You are the one you need. The main goal of Chiron is healing YOURSELF, but the further you travel on the path, the more you will affect others without even trying. The brighter your energy becomes, the more light you will spread. Eventually, your wound will become your shield against the darkness. I was recently gifted a new oracle deck for Christmas, the Rumi Oracle by Alana Fairchild. The energy when holding the deck immediately told me it had things to say and that I needed to listen. After becoming acquainted with each card, I pulled one for the day asking what lessons it had for me. The card I pulled was the Dance of the Divine Feminine. they could not offer brilliance. and pours the rain of sweetness. I have given you only a few examples. You can figure out the rest. This message could not be more appropriate for what is going on in my life but also for the astro weather brewing. Neptune is making some major aspects, asking us to delve into the divine, while Saturn holds one of Venus’s hands and the Sun holds the other. She’s moving away from the restriction of Saturn and into the creative arms of the Sun. Neptune is forcing Mars to take a deeper look before he hits Jupiter and expands his energies outward. Neptune wants Mars to use his energy in a healing way, bringing in Mercury to help connect everything together. The moon is dancing, though briefly, through it all, twirling with Uranus and showing her deepest individualistic expression. Her eyes are closed and she doesn’t care if anyone is watching- she just wants to feel the energy in the air as Uranus fills her with electricity. This card is telling us to take control of our lives. Don’t be afraid to make some changes; Saturn might make us feel like our energies are stifled but he really wants us to let go of what isn’t serving us. He’s highlighting areas we feel inadequate about and telling us to hone in on them, work on them, and gain back our confidence. We often stay stagnant because of fear- we don’t know enough, we aren’t strong enough, people will laugh at us, we can’t succeed. Saturn is telling us to stop the self-defeating talk, follow our dreams and ignite our desires instead of hiding behind fear. Everyone does this in a different way- my way is finding the divine feminine inside myself and allowing her to break free of the restrictions I’ve held her under for too long. If the water around you tastes bitter, shake things up- allow fresh water to flow through. I have been seeing plenty of material over the last few weeks written about Saturn entering Capricorn yesterday so instead of writing anything on it myself, I soaked in the last of Sagittarius/Saturn energy and rode the waves into Capricorn. I wanted to feel the full extent instead of intellectualizing it, which I have a tendency to overdue, and let me tell you…it felt great! Honestly, it was liberating, which would seem a little odd for Saturn, bearer of chains, entering its ruling sign of hard working Capricorn. I guess my Aquarius moon dancing with my natal Saturn feels more than happy to have Capricorn controlling Saturn again- Sagittarius just didn’t really know what to do with him! I know that’s how I felt in my case- how do I blend those two energies? I had a lot of great ideas, and now that Saturn is back in Capricorn, I feel the freedom to carry out those ideas to the best of my abilities. Beautiful! Immediately, the Virgo midheaven I am, I decided to start a plan of action for 2018. I’m ready to hunker down again and get the ball rolling on the things I’m most passionate about instead of making excuses as to why I can’t. Many people write down intentions for moon phases, and those are great for short term goals, but this is prime time for long term goals. Where do you want to be in three years? What can you do to get there? What do you need to work harder on and what might you need to let go? You have two and a half years to utilize the strength of Saturn in Capricorn, and then another two and a half to expand upon that with Aquarius. This is where you do the work and reap the rewards. Saturn wants to help you succeed. I see a lot of talk about 12th house planets. There’s no coincidence there, as the 12th house is known as the house of mystery and most everyone loves a good mystery. It’s clouded in confusion and can even be associated with darker things such as depression and hidden enemies. There’s a positive and negative association with every house — sometimes the line between the two isn’t clear. This is even more accurate when discussing the 12th house. What if you don’t connect naturally to your 12th house planets? Those who don’t connect naturally to their 12th house, but still have planets placed there in their natal chart, might complain of depression, lack of focus, confusion on how to succeed in life, difficulty finding happiness or a purpose, paranoia, apathy, etc. These are all very common as the 12th without a true cause to represent can feel lonely to the point of being painful. The 12th house can seem contradictory because it often produces those who prefer to be alone or at least those who are more secretive about their private lives. It really represents the collective, which is inside each and every one of us, and is anything BUT lonely. The fog needs to be lifted to see this connection and in order for those struggling with the energy to not feel so out of place. How can we reconnect with our 12th house? Everyone has their own way that works. For some it takes days, for some it takes years, but the key is patience. When you decide to devote yourself to connecting to your 12th house planets (or even just the sign ruling the 12th) you will notice little miracles all around you in your daily life. Synchronicities will line up. Things will start connecting. Your body will feel lighter, your heart will feel fuller, blessings will surround you, and life will make sense again. There will be a sense of purpose and beauty in your life that you may have lost or never even felt before. Take a look at your 12th house. What sign is the planet in? What sign rules the cusp? What is the cusp ruler and where does it reside in your chart? What aspects does this planet make to other planets and parts of your chart? What element, mode, and strength does this planet hold? Feel out the energies these 12th house planets hold. They create energy lines from your 12th to other parts of your chart, mapping out spiritual guidelines for this lifetime. It’s an awesome way of figuring out a life path that can deeply fulfill your soul. Map out your own destiny through exploring your 12th house energies and begin your journey to true satisfaction. How do I connect with my 12th house? I personally connect with my 12th house energies by taking time every day to meditate. I do this in order to silence my thinking mind and reinforce that my soul has space to make its deepest desires and dreams known. I give special attention to my body/mind/soul connection through yoga. I try to spend time in nature, observing the daily cycles and appreciating how truly beautiful it all is. All of these things help my 12th house sun feel connected and thrive. I feed my 12th house Pluto by acceptance, letting go of that which does not serve me in a positive way and turning seemingly negative things into blessings. I observe my own personal power and stay true to myself rather than repressing that which hurts me, building my strength and becoming grounded in who I am as a person. I use gentleness to heal my deepest wounds. I write out my dreams and allow inspiration to flow into me whenever it pleases, staying blissfully open and engaged with the spiritual and physical worlds. I have faith in the universe and faith in myself. How do you harness the energy of your 12th house? What are your thoughts on the energy found there? If you’re interested in learning more about your personal 12th house, consider ordering a Healing & Desinty Report or read more about the 12th house on this blog. I have been reading Howard Sasportas recently and came across a technique I quite fancy. He briefly mentions the rising sign as a baby bird hatching from its shell. What kind of a bird is this? How does this bird hatch from its shell? These are the questions the sign of the ascendant answers, showing how you approach new things. I thought it’d be a fun exercise to do a write up on the signs and their bird’s hatching personality, so here it is! Feel free to comment, message, or respond with your own creative interpretations. 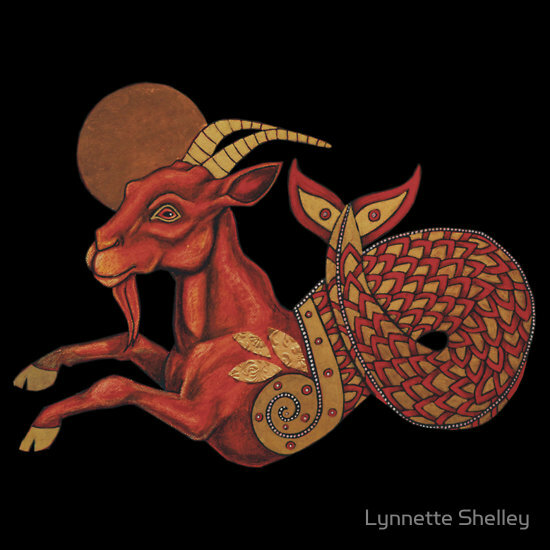 Aries rising: You almost violently peck away at the shell surrounding you, eager to see what that brightness is on the outside- eager to see what the ‘outside’ actually is! You break open the shell and immediately jump out, feeling spiky pine-needles under your feet, step up the edge of the nest, and burst into the air, ready to explore the world! Gemini rising: You can hardly wait to burst out of this shell, you can’t stop thinking of all the possibilities that the outside has to offer! You start to peck. The light that shines through the cracks delights you so much you start to sing. You hear your mother singing back. You peck yourself to freedom and take in the colors, the vast assortment of sounds. You thought you’d be satisfied seeing the outside, but you are more curious than ever. Cancer rising: You know you have to leave your shell, but the thought of it makes you want to cry. You secretly fear you will never find the comfort of your shell again. You refuse to leave. Eventually, you grow so large you break open your shell. You cry because the air is so cold and the sky is so bright. Your mother curls up next to your side. The light seems more bearable and the warmth is better than you ever thought possible. You feel like you can do anything! Leo rising: You wait until sounds around your shell quiet, and you know it’s your time. You peck yourself out of your shell, opening your wings as if embracing the world. The others in the nest look at you in awe. You know how to make an appearance. The sun shines through your feathers just right and you feel like the king of the world. Virgo rising: You peck once in the lower left corner of your shell, once in the lower right, and three times at the very top, creating a hole perfectly big enough to fit yourself through. You leave the shell, wipe off the remnants, and shake yourself off. Libra rising: You hear the chatter outside your shell and excitedly peck yourself out of it, eager to join the others. You know it’s the right time because they are all out of their shells already. You wobble your way over to the other birds, stand directly in the middle of two of your siblings, and learn how to chirp with the rest of them. Sagittarius rising: You peck three times, then twice, then a couple more, and eventually you are free. What does this mean? Freedom? You ask your mother. She tries to feed you a worm. You try to explain that you don’t have time for such trivialities but she insists. You take the worm, choke it down, then fly into the air without any goodbyes. There’s too much to explore, too little time to explore it! Capricorn rising: You weigh the pros and cons of leaving your shell. Cons, you will no longer be warm, you are unsure of what is out there, you are actually kind of scared (you take that back, you’re never scared). Pros, there’s so much more potential outside of your shell as inside there are zero. You decide to make the leap. You peck yourself out of your shell, slowly, and deliberately. You observe your surroundings and decide how you are going to manipulate them to your benefit. Aquarius rising: You have no reason for pecking in random intervals at the shell around you, but you find yourself doing it anyway. There’s a peck there, three pecks here, you take a short break and ponder what a strange process birthing is. You eventually end up outside of your shell covered in million tiny pieces. You see your siblings on the other side of the nest trying to share a worm. You wobble over and cut it into equal pieces and you all share together happily. Pisces rising: You don’t even need to peck open your shell because it melts away around you. The nest melts away too and you find yourself floating in the warmth of the sun you never knew existed until that day, and you wonder how you got there, quickly lose the thought, and just enjoy the moment. No longer simply wilted, I had dried into a beautiful corpse frozen with my face to the ground and my colors pale and muted. Every shake my petals threatened to fall and pieces of me would blow away when the wind decided to dance. I always enjoyed the dance before I knew what it was like to be acquainted with death. Death needs no sunlight and no water to be his best. He needs a parched stem with roots too confused to search for moisture. The earthworms whispered to me- it’s here it’s here- and I grabbed without sight. I ended up with just dirt in my fists. I see, though murky, the earthworm’s elixir and when it reaches my roots (and I’m sure that it will) love will ignite me again- taller, brighter, stronger than I ever had been in the name of love. A new kind of understanding through loss and acceptance. Patience budding into gold, silk petals, dancing in the wind once again. I recently met a lovely stranger while I was sitting at the bar at my place of employment after getting off, and of course, as always, he was a Capricorn. (In case you haven’t read any of my musings before, most the strangers I feel drawn toward and are drawn toward me are Capricorns. I believe because my Neptune and Uranus in Capricorn conjunction in the 2nd house, opposing my Mars in the 8th, but ya know it’s up for debate). ANYWAY; he wanted an explanation on Capricorn. The typical questions ‘WHO AM I?’ ‘WHAT DOES THIS SAY ABOUT ME?’ that I cannot answer so simply. Most don’t care even for legitimacy, just a quick little tidbit they can nod their head to. Instead I went into the story of the sea goat. I hope you Capricorns know you are half water, and that long, mermaid tail you have has been ignored so long it almost doesn’t exist. But it does! In the mist. This is why Capricorns tend to have a spiritual interest to them even though they often keep it tucked away. They still like to gather the information, and admit to no one that they are, just in case that feeling they have inside is right and not just their imagination. Their imagination is lovely! Bursting with spiritual symbols, if they embrace it. They connect with their Cancer sisters and brothers through the beauty of emotion and the human condition. The constant moving forward. Cappys that don’t move forward can often times get depressed- where is the meaning? The meaning is finding your tail! Sound silly? Good. Cappys have a good sense of humor. Those that use it are less often sad. The world is harsh being ruled by Saturn, I know. But connecting with your moon sign, that Cancer nurturing, will bring you back into the ocean of possibility and the vastness of experience, love, emotion, dreams! You are close to the end of the Zodiac, little loves, rising above as the last Cardinal sign to give one final push toward freedom- and then you enter into Aquarius, feel the water out a little, and then are submerged fully into Pisces never to return the same again. Connect, Capricorns! You are the sea goat after all. You are not just earth bound.